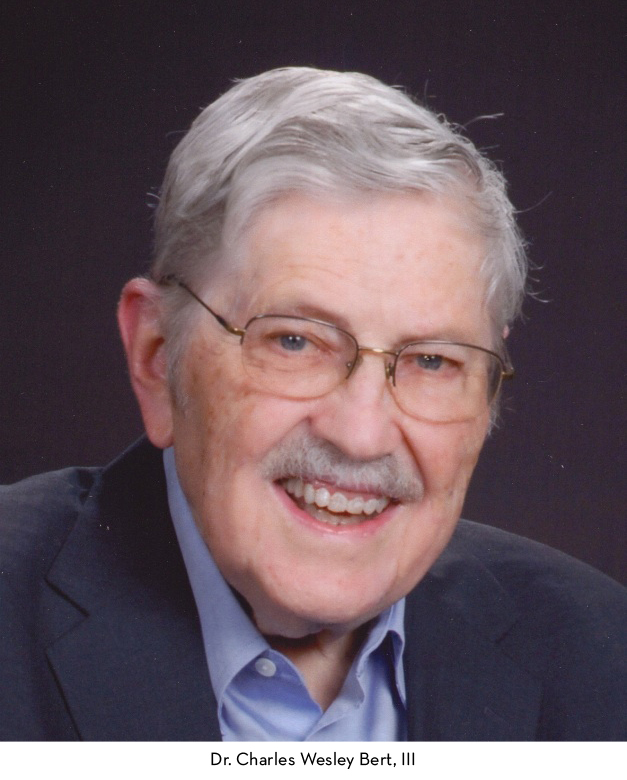 The AME family lost one of its valuable members, Dr. Charles W. Bert, on February 3, 2015. 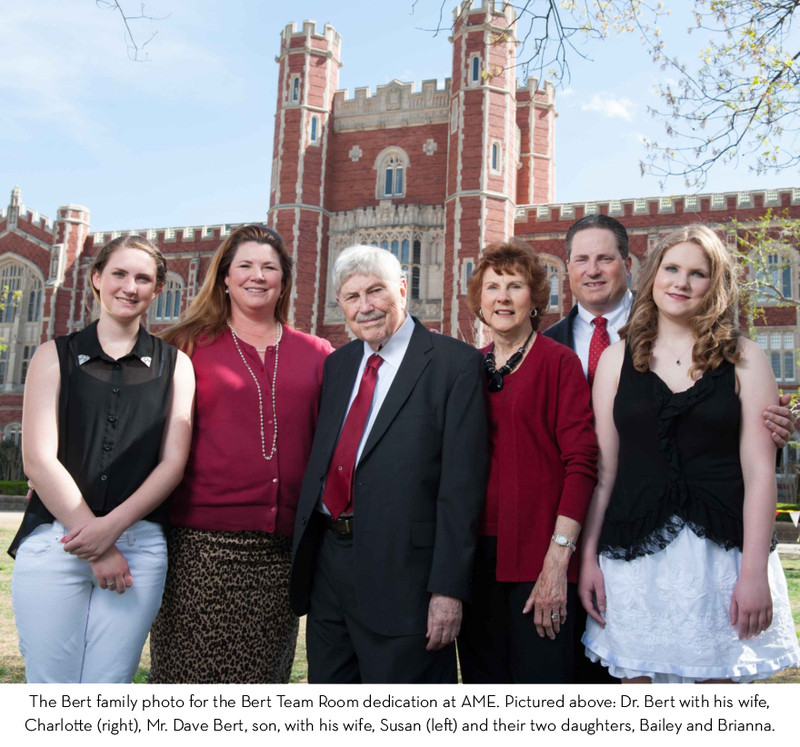 Bert began his journey at the University of Oklahoma in 1963, where he served the School of Aerospace and Mechanical Engineering as a Professor for 41 years before retiring in 2004. During this time, Bert served as Director from 1972-1978 and again in 1990-1995. He also held the Benjamin H. Perkinson Chair during his time at AME. 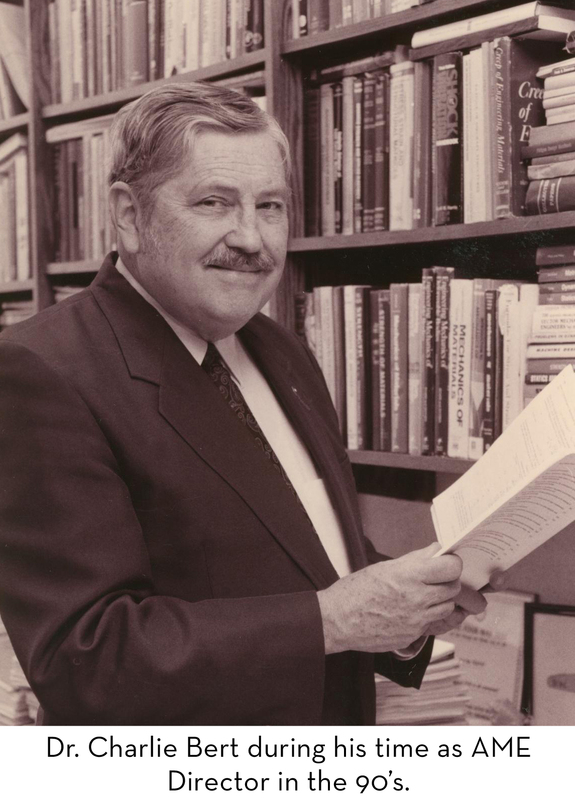 In 1981, he was the recipient of the highest recognition for research at the University of Oklahoma—the George Lynn Cross Research Professorship. He was inducted into the Oklahoma Higher Education Hall of Fame in 2011. Bert’s work in composite materials earned him an international reputation in the field; he authored and co-authored 205 papers in refereed journals, published one monograph, edited three books, produced 13 book chapters and 158 other papers. In connection with his research, he mentored 26 doctoral students and over 40 master’s students. He was a registered Professional Engineer, and consulted on numerous projects including the design of the propulsion clutch for the USS Nautilus (first nuclear submarine), first annular air-oil shock absorber, steel-belted radial tires and NASA Space Shuttle payload-bay doors. Charlie was elected as Fellow to seven technical organizations, including the American Society of Mechanical Engineers, the American Institute of Aeronautics and Astronautics and the American Society for Composites. The AME family would like to send its deepest condolences to the Bert family. Charlie’s kind heart, his encouraging words and supportive attitude along with his teaching, excellent research contributions and his friendship will be dearly missed by all. Charles Wesley Bert, III was born November 11, 1929 in Chambersburg, PA to Charles W. and Gladys R. Bert. He passed away surrounded by his loving family on February 3, 2015 in Norman, OK. Charlie was a quiet gentleman who truly cared for others. He will be greatly missed by his family and many friends. He is now with his Lord and Savior, Jesus Christ, in Heaven. Charlie grew up in Greencastle, PA and graduated from Greencastle High School in 1947. He received two mechanical engineering degrees: a Bachelor of Science degree in 1951 and a Master of Science degree in 1956 from Pennsylvania State University. He was commissioned a 2nd Lieutenant in the United States Air Force Reserve, proudly served on active duty during the Korean War from 1952-54 and retired as a Captain in 1963. Charlie worked at Fairchild Aircraft in Hagerstown, MD where he met his wife, Charlotte. They were married in 1957 and moved to Columbus, OH to pursue a Ph.D. in Engineering Mechanics at Ohio State University, graduating in 1961. They moved to Norman in 1963 where Charlie served for 41 years as a Professor in the School of Aerospace and Mechanical Engineering at the University of Oklahoma, retiring in 2004. He served as Director of the School from 1972-78 and 1990-95. He was named a George Lynn Cross Research Professor in 1981 and held the Benjamin H. Perkinson Chair. Charlie’s work in composite materials earned him an international reputation in the field; he authored or co-authored 205 papers in refereed journals, published one monograph, edited three books, produced 13 book chapters and 158 other papers. In connection with his research, he mentored 26 doctoral students and over 40 master’s students. He was a registered Professional Engineer, and consulted on numerous projects including the design of the propulsion clutch for the USS Nautilus (first nuclear submarine), first annular air-oil shock absorber, steel-belted radial tires and NASA Space Shuttle payload-bay doors. Charlie was elected as Fellow to seven technical organizations, including the American Society of Mechanical Engineers, the American Institute of Aeronautics and Astronautics and the American Society for Composites. He was inducted into the Oklahoma Higher Education Hall of Fame in 2011. He was a longtime member of McFarlin Memorial United Methodist Church and the Norman Club of Rotary International. Charlie was a huge Sooner football and basketball fan for over 50 years. He is survived by his wife of 57 years, Charlotte Bert, Norman; a sister, Grace Cannon of Walnut Creek, CA; two sons, Charlie Bert and his wife Pam Bert of Oklahoma City, and David Bert and his wife Susan Bert of Edmond; granddaughters Bailey, Brianna and Alyssa Bert; grandson Michael Maples, US Navy and his wife Miranda Maples; and a great granddaughter, Mia Maples. Funeral services will be held Thursday, February 12 at 2 p.m. at McFarlin Memorial United Methodist Church, 419 S. University Blvd. in Norman, OK. Services are under the direction of Primrose Funeral Service, Norman, OK. In lieu of flowers, please consider memorial contributions to The Parkinson Foundation of Oklahoma, 720 W. Wilshire Blvd., Suite 109, Oklahoma City, OK 73116 or The University of Oklahoma Foundation (Bert Family Scholarship in Aerospace and Mechanical Engineering), 100 Timberdell Road, Norman, OK 73019. You were the one responsible for my coming to OU. I cannot forget the first time I met you and our contact for several years later on. Rest in Peace, Charlie. DR BERT WAS GREAT PROFESSOR. WHILE HE WAS THE DIRECTOR OF THE OU AME SCHOOL ,I MET HIM FOR ASSISTANT PROFESSOR POSITION HE SAID TO ME THIS IS AN EQUAL OPPORTUNITY INSTITUTION AND HE HIRED ME INSTANTLY.